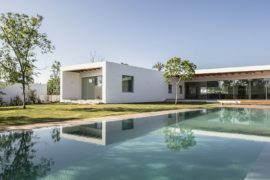 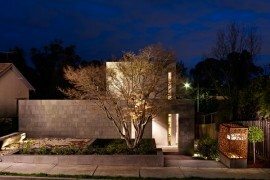 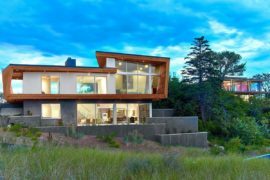 One of the challenges of designing that perfect contemporary home is to combine style, functionality and the specific demands that each project brings along with it. 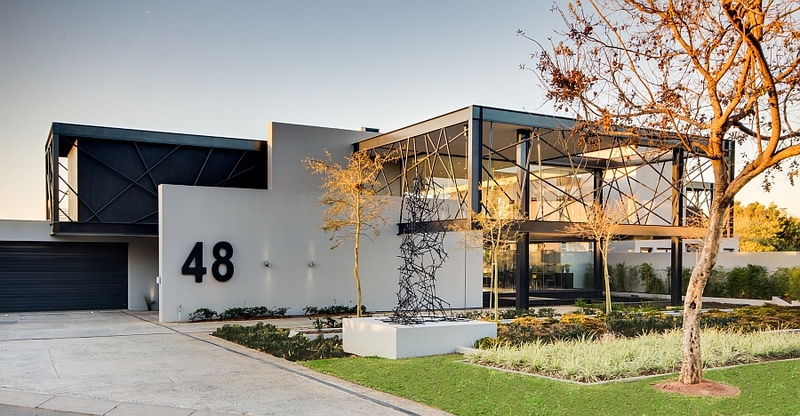 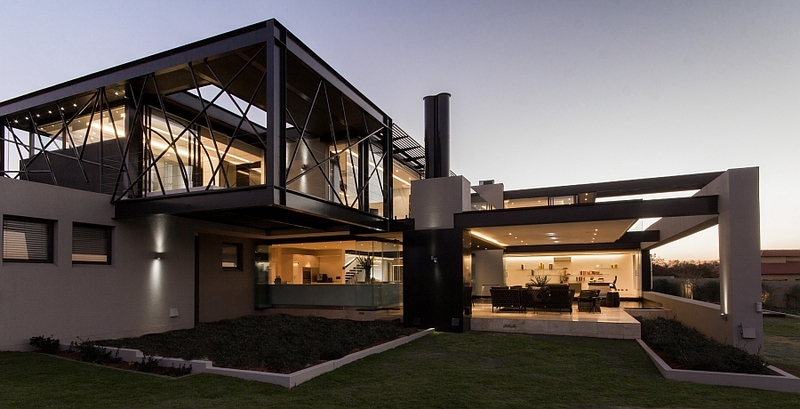 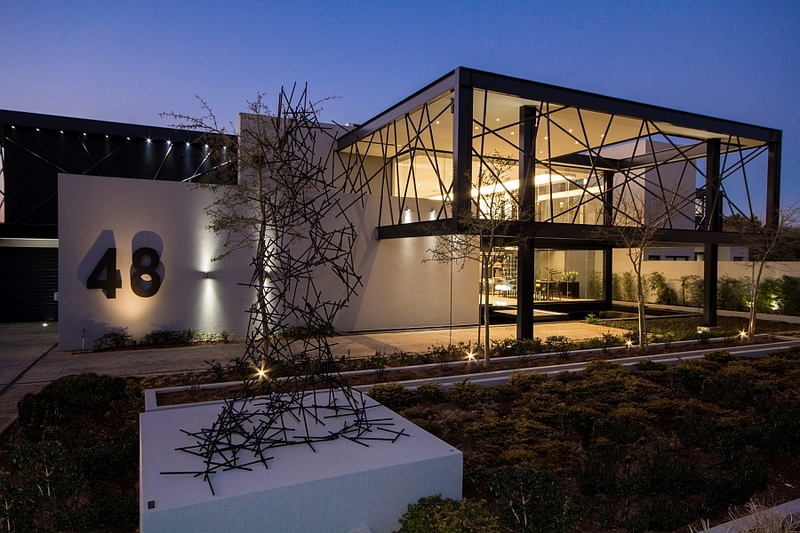 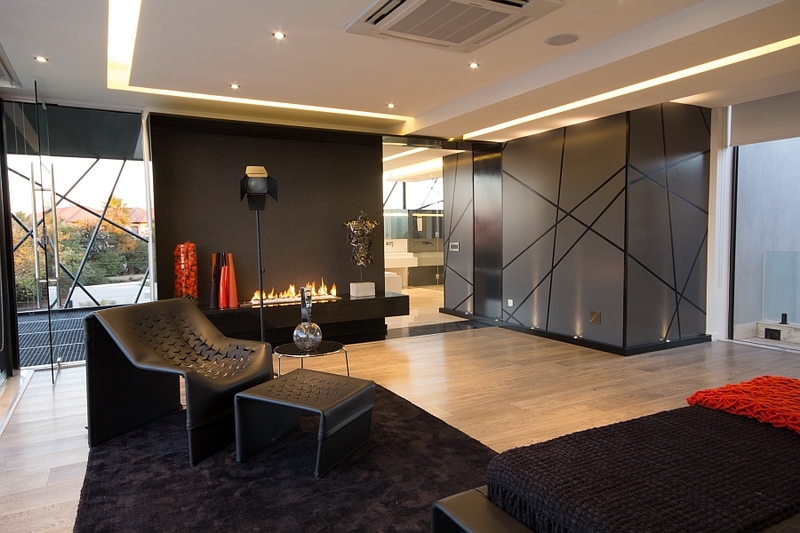 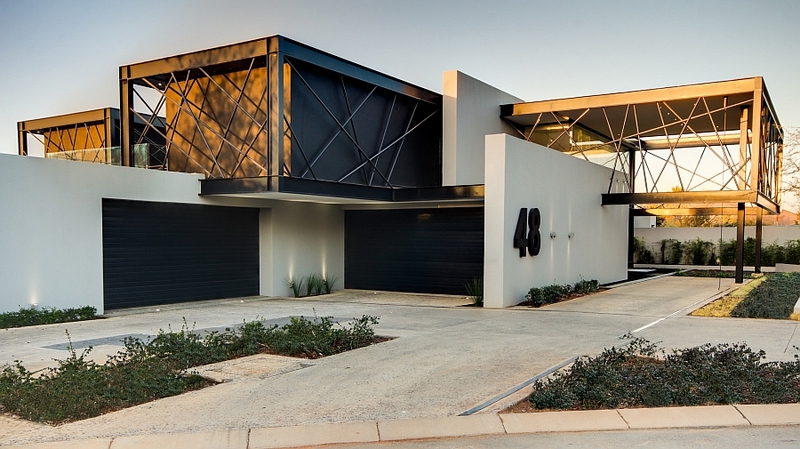 Located in Carlsworld, Midrand, South Africa, House BER has been designed by Nico and Werner van der Meulen to bring the outdoors inside while giving the homeowners ample privacy and the right security. 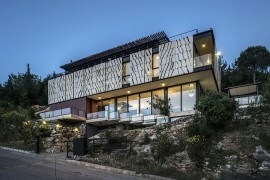 Since the architects could not use burglar bars for the façade, a unique and inspiring metallic frame was designed that also doubles as an artistic addition. 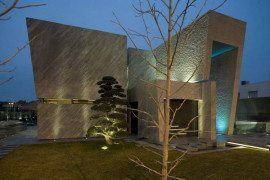 Combining stone, glass and metal in an extravagant and ingenious manner, the house stands tall as an inspiring work that blends art and architecture! 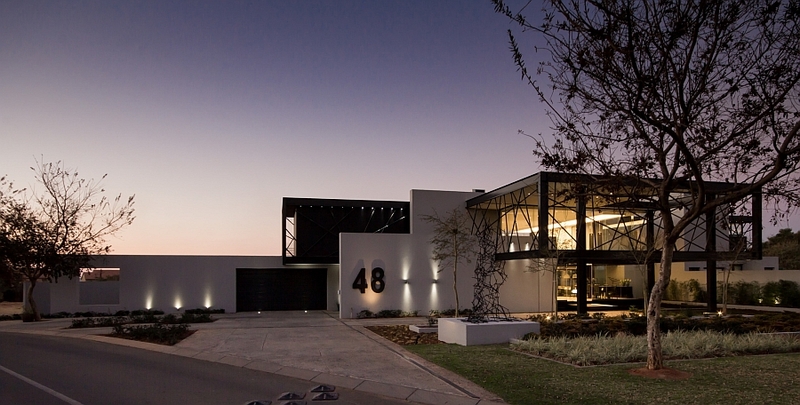 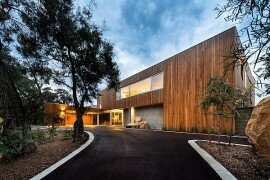 House Ber stands out visually right from the get-go, as its street façade paints a stylish, sculptural picture. 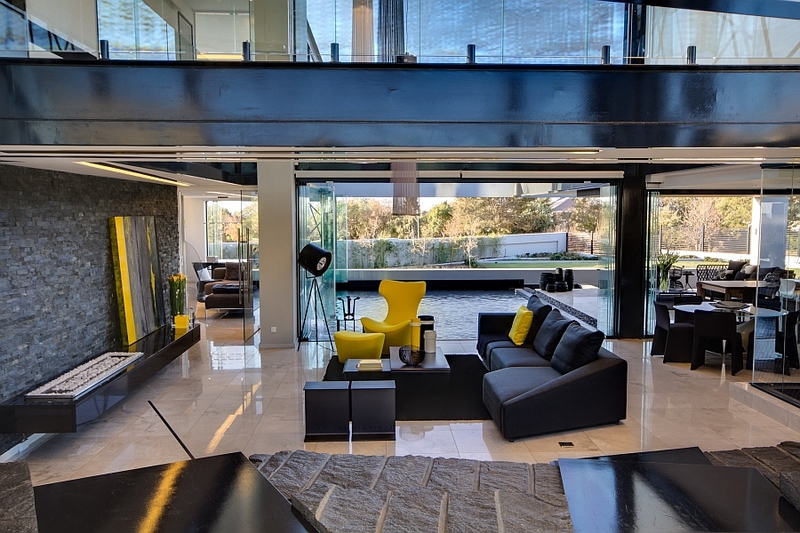 One of the key features of the house is the way it brings different textures and contrasting elements together as indoor water features and open patios define the overall silhouette of the residence. 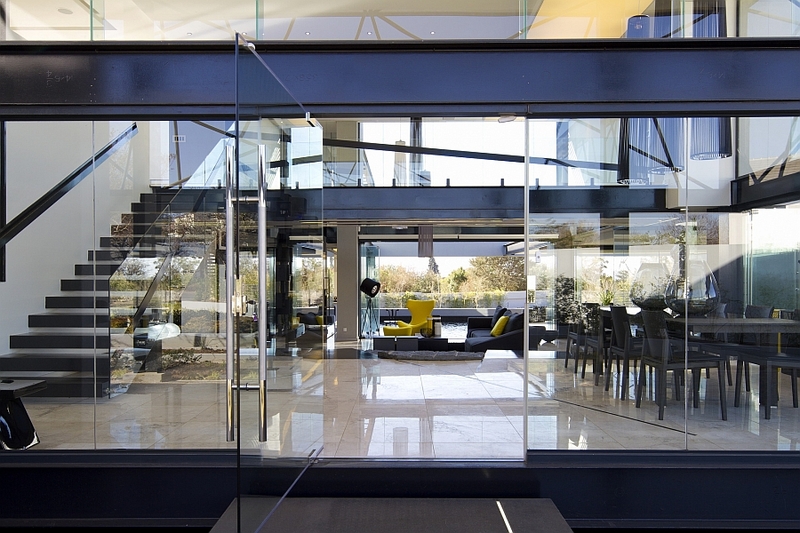 Large glass doors offer seamless connectivity with the patio and the extensive backyard, while marble and Caesarstone surfaces give the interior a posh, luxurious appeal. 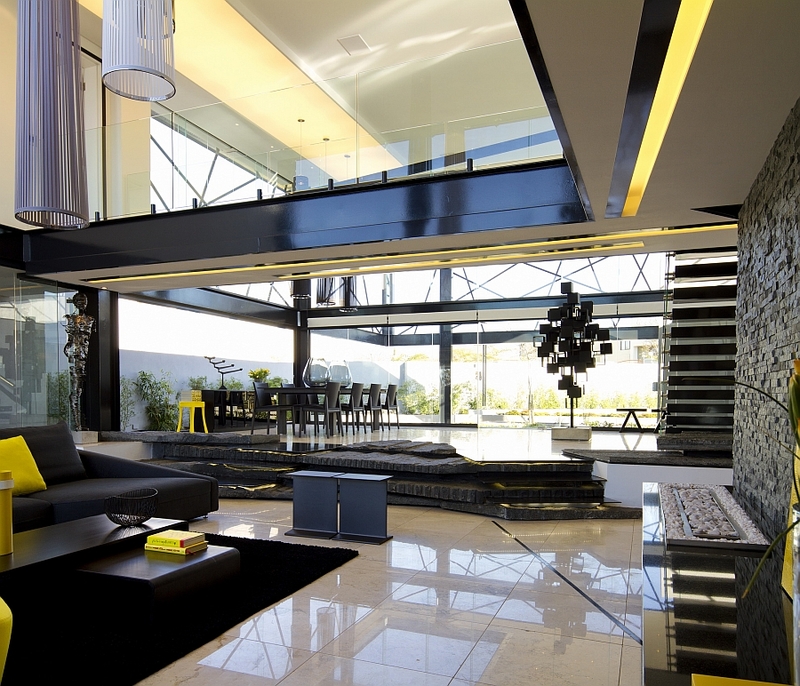 The sophisticated living area with its high ceiling is a perfect example of how to use black indoors while keeping the space airy and inviting. 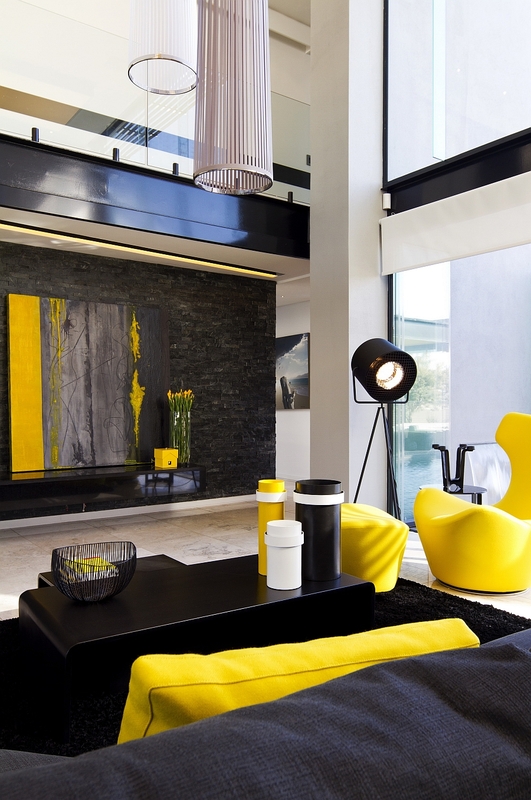 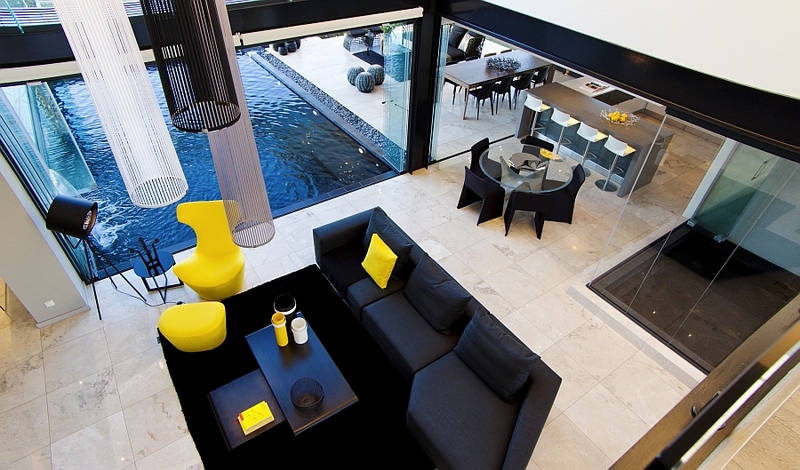 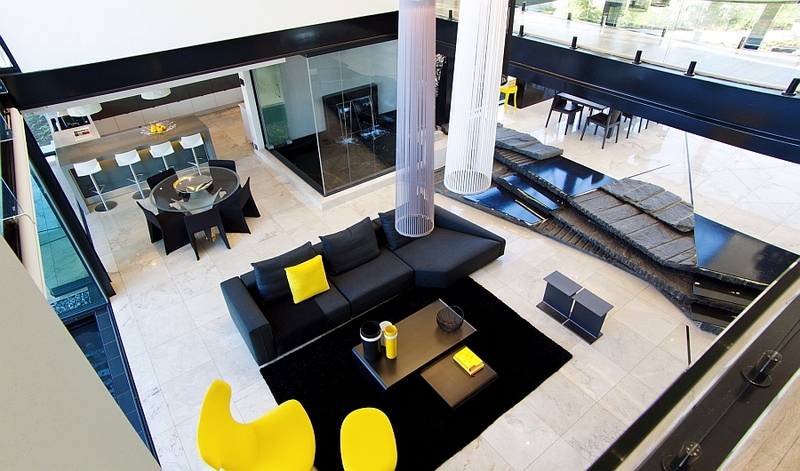 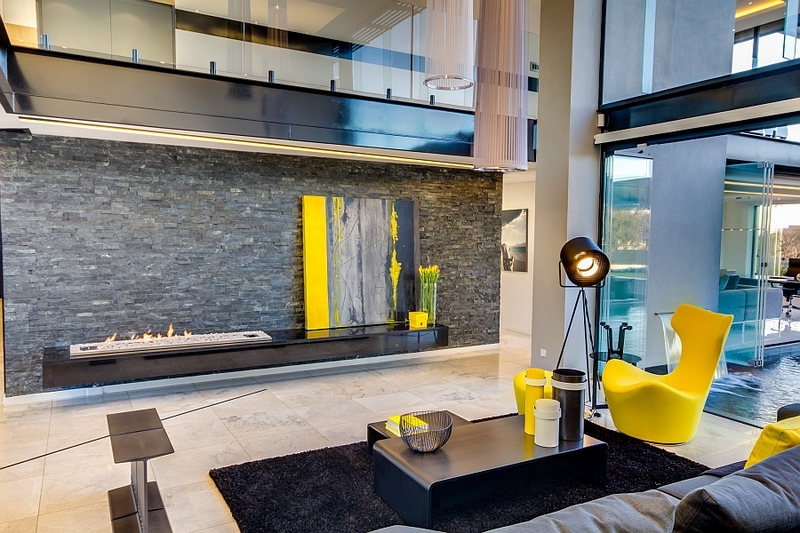 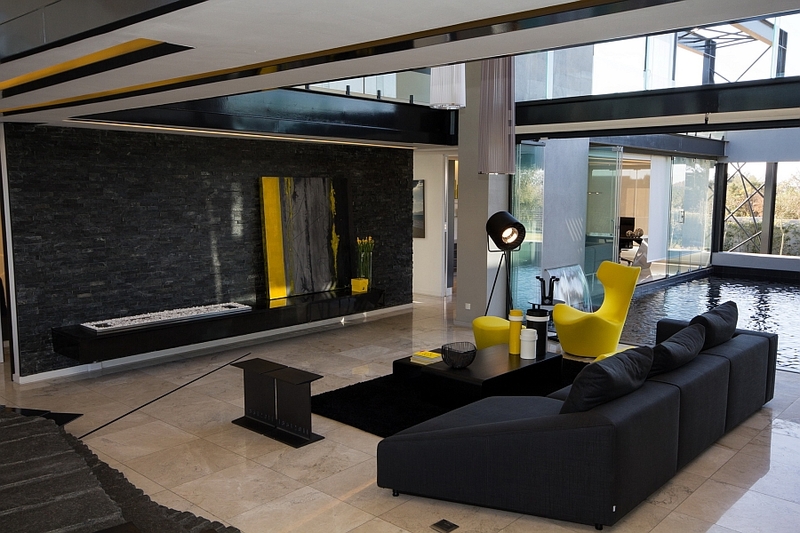 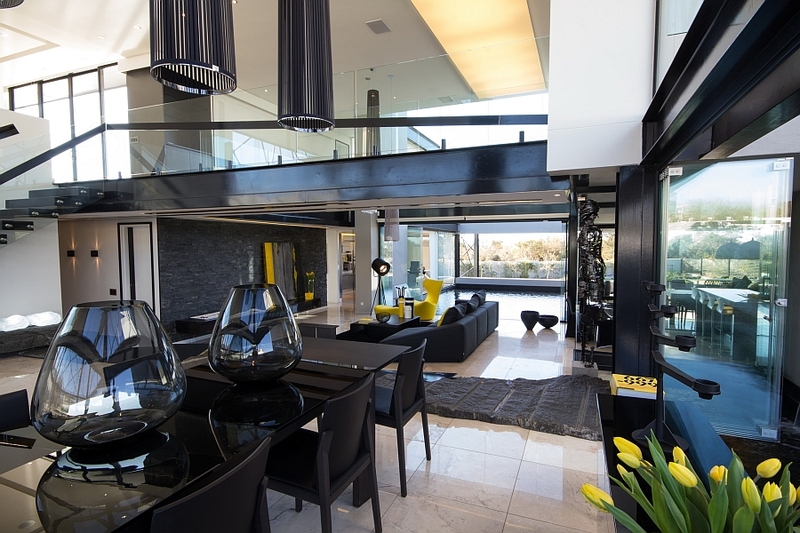 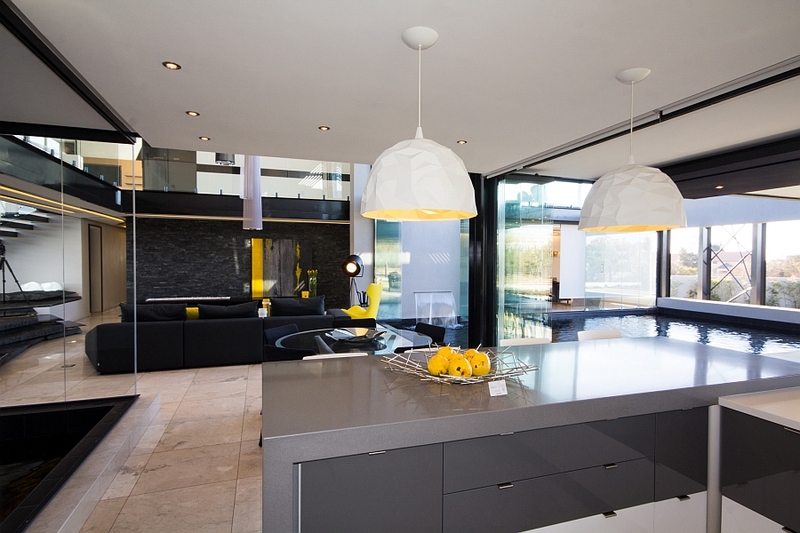 Bright yellow accents spread throughout the residence add some much needed color, and a large dining area and stunning contemporary kitchen complement the living space elegantly. 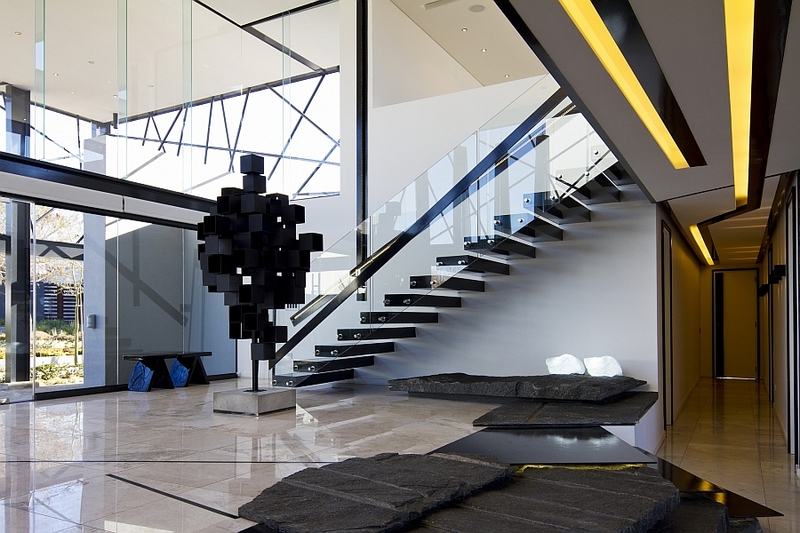 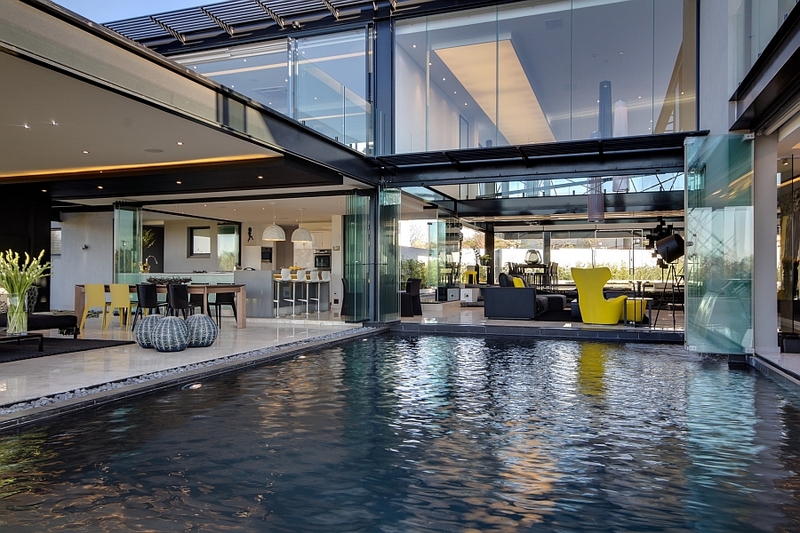 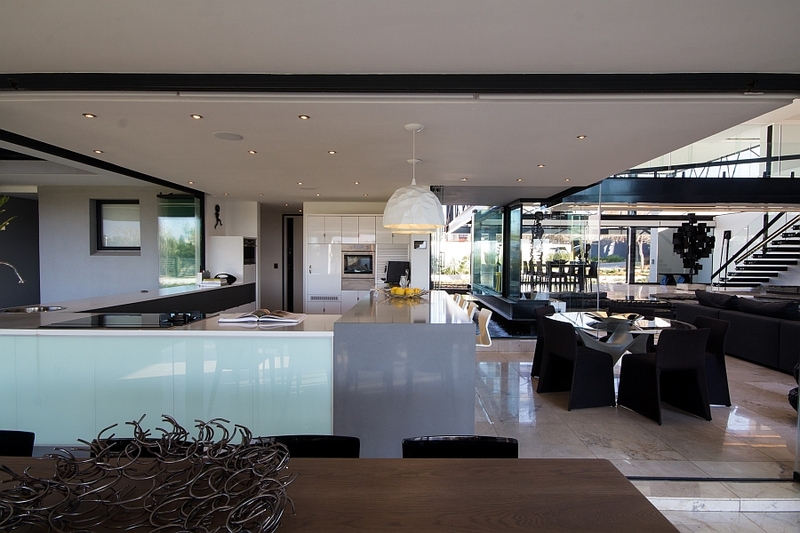 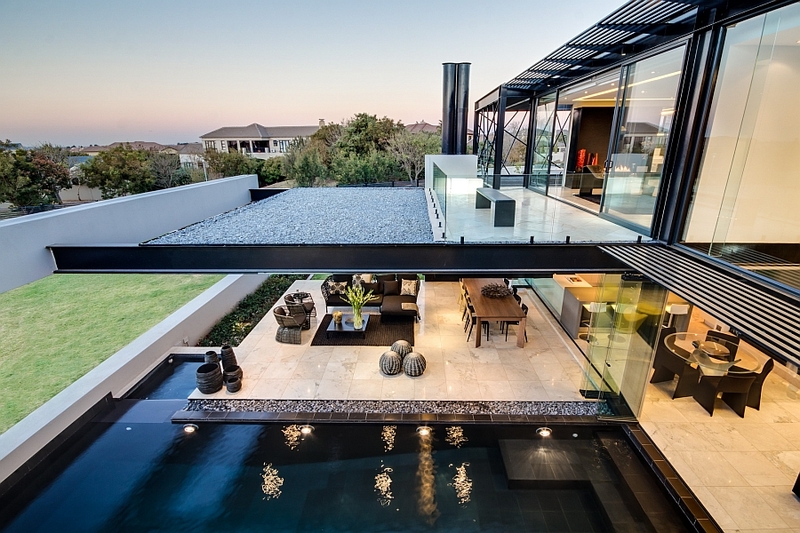 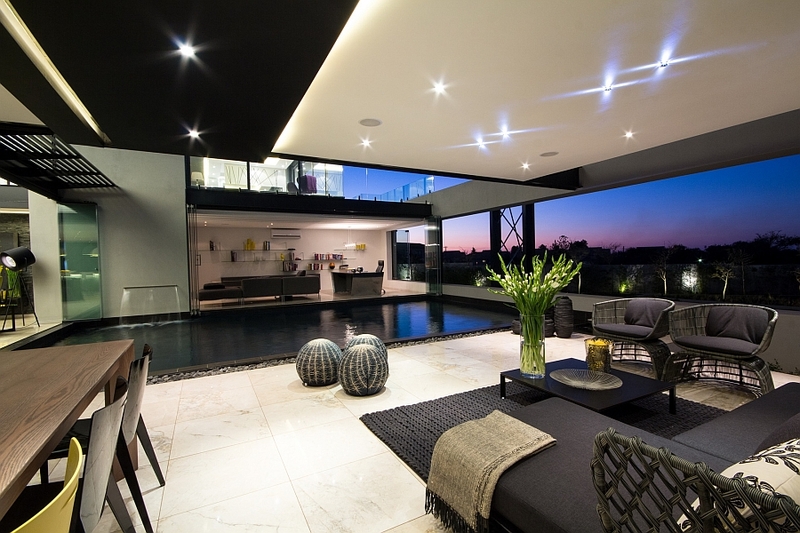 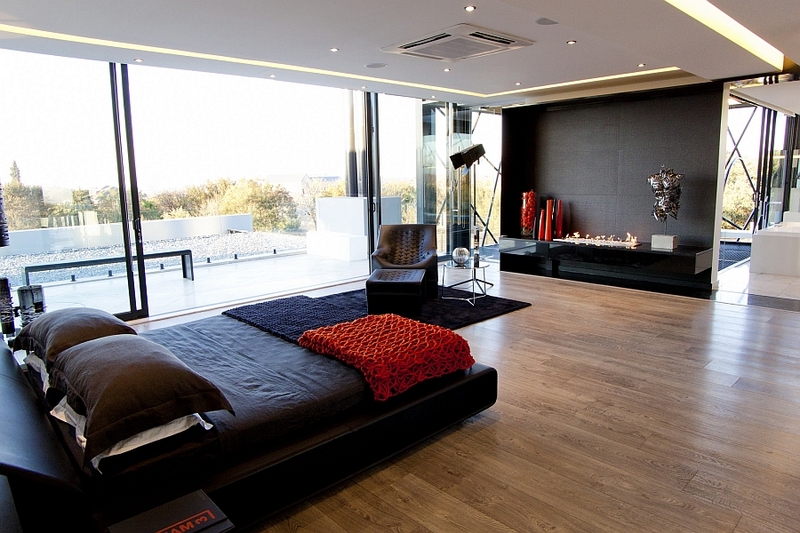 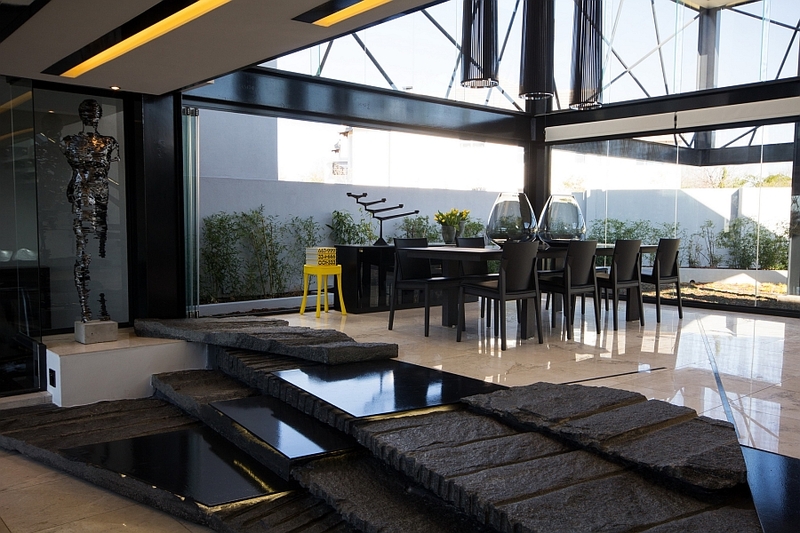 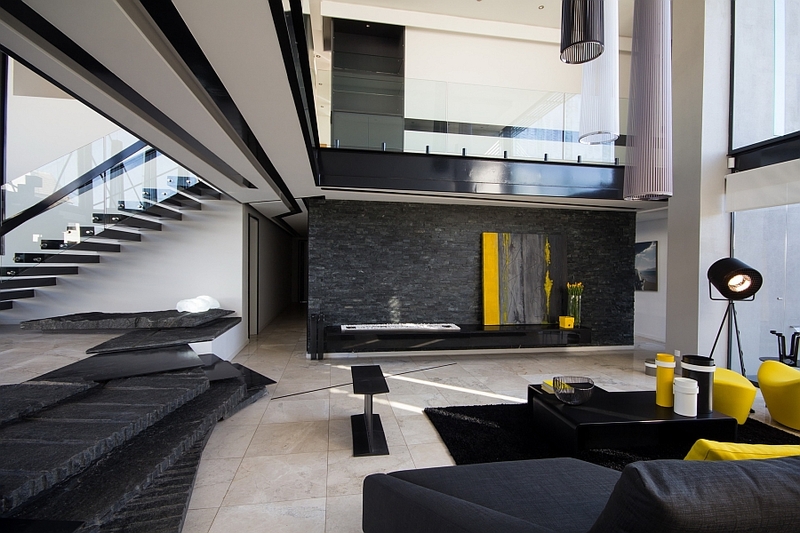 The indoor water feature is the central focal point around which every public space in the house revolves, and superb furnishings from M Square Lifestyle Design add to the elite aura of this South African home. 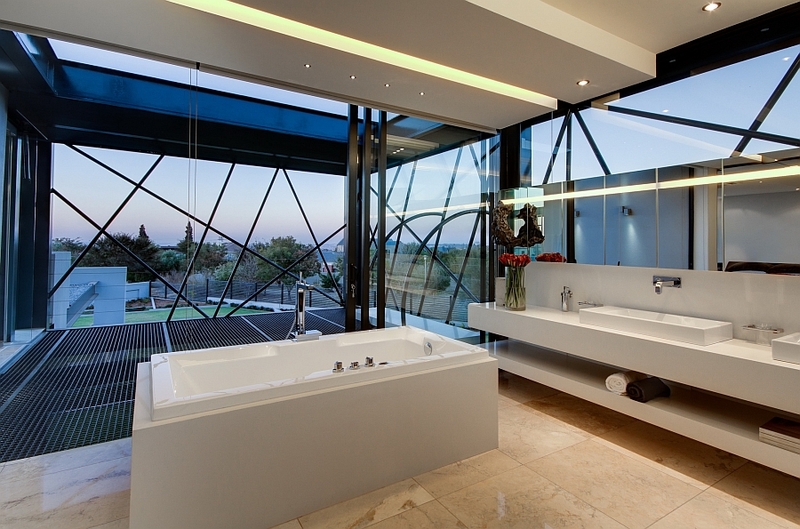 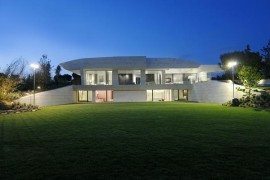 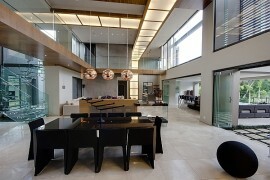 Overlooking the vast expanse outside, the bedrooms and the bathrooms of the house are located on the top floor. 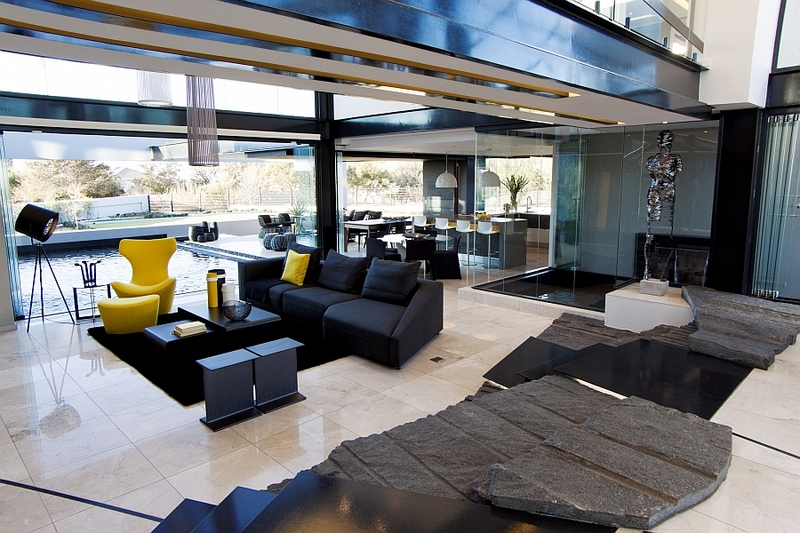 Combining varied sculptural accessories and surfaces with an atmosphere of affluence and serenity, this impeccable house is all about ingenuity coupled with opulence.